Today is the first of a two-part post on vocabulary (because there’s WAY too much to cover in just one post). I’m going to go over a few basics, and then get into font categories and styles. Being specific with categories and styles helps immensely when searching for just the right font for your project, so you aren’t spending ages digging through piles of stuff you don’t want to find that one needle in the haystack. Next week we’ll get into the anatomy of the letters, as well as what the various OpenType features mean and how they change your letters on the fly. We’re going to start very basic, with a pair of words that mean different things, but (and some designers may cringe to hear me say this) for most people, basically mean the same thing. Let’s go back to the printing press days: printers would have huge boxes full of metal letters, which they’d arrange on the press. The letters would be in a specific style (the typeface), and at a specific size and weight (the font). So Times New Roman would be the typeface, while each separate box full of metal letters (size 10 bold, or size 14 italic, or size 20 regular) would be a font. Today, however, we don’t carry our letters around in boxes. In the digital age, the file you buy contains both the typeface and all of the fonts you could ever want, all in the same electronic package. So it’s at the same time both a typeface file (because it contains all of the letters in specific shapes) and also a font file (because it contains all of the letters in specific sizes). The age of computers makes it hard for a lot of people to know when to call something a typeface versus when to call something a font. If you really want to get down and dirty on the differences, it’s a research rabbit hole, and I could spend hours falling down it. But just know that whichever term you use, even a stickler will know what you mean. Letter: In Latin text, traditionally uppercase A-Z, and lowercase a-z. (Notice, there are a lot more things in your font files than just letters. There are also numbers, and punctuation, and many other things. So letters are a small portion of all of the characters available in a font. Character: A character is any letter, number, piece of punctuation, shape, or combination of shapes that stands together as a unified single item in your font. Going back to the uppercase A, it’s a letter, and it’s also a character, because font files consider that uppercase A to be a single, self-sufficient object. Inside the guts of a font, each separate character is assigned a certain code number. So whatever program you’re using knows that if you type in an uppercase A, it’s going to call for character #0041, and show you an A.
Glyph: Glyphs are the individual shapes that make up characters. Since we’ve been talking about the uppercase A, the easiest way to differentiate between glyphs and characters is to use the accented character Â. This A with a circumflex over the top is one character (code #00C2 inside the font’s guts), but it’s made up of two glyphs: the uppercase A shape and the circumflex shape. A lot of fonts will refer to “extra characters” or “extra glyphs” in their description, which could both be referring to the same things: alternate letters and numbers, or letters with swashes on them (we’ll cover some of these terms next week), or dingbats and ornaments (see below). But just like font/typeface, a lot of creators and designers alike will use the terms character and glyph interchangeably. A lot of fonts you download will have two files included: one will end in .TTF and the other will end in .OTF. You may wonder, should you install them both? Or just one? If just one, then which one? 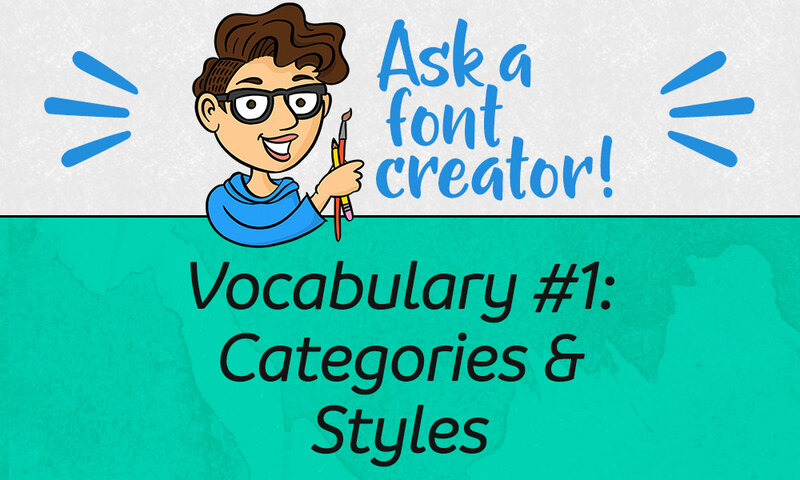 Now we’re going to launch into some vocab words for the categories you’ll find fonts in, and some styles that will help you more easily find the kinds of things you’re looking for. In a couple of weeks, I’ll be posting about pairing fonts, and we’ll be coming back to these terms a lot to see what categories go with what other categories. (I’ll also be identifying all of the example fonts throughout, many of which are available here on FontBundles.) Also, bear in mind that a font may fall under several categories at the same time. Slab Serif: While the serifs on regular serif fonts tend to come more to points, and are generally more delicate-looking, the ends of slab serif letters are more blocky and square. Slab serifs are generally heavier and darker than their plain serif cousins, and can be a little more fun. Sans-Serif: In French, sans means without. So it probably won't surprise you to hear that a sans-serif typeface is one that doesn’t have serifs at the ends of the letters. For some font families that come with both a serif and sans-serif version, literally the only difference is that the serifs have been removed; otherwise it’s exactly the same. For design purposes, sans-serif is usually a great safe choice for any project. It’s seen as a little less stuffy than serif, easy to read, and just generally nice. It's like the salt of styles: not that exciting, but good with everything. Script: This is a huge category and covers tons of different styles, but generally, script fonts will have connecting letters. They could be thick or thin, tall or squat, elegant or messy. Calligraphy: A subset of script, calligraphy is usually very uniform, and can look more machine-made than hand-made. (Though there are some totally elegant calligraphy fonts out there that look like someone wrote them with a fancy ink pen.) The lines in calligraphy tend to be thinner, and sometimes (but not always) the letters will be taller and narrower. Blackletter: Sometimes also called Gothic or Medieval, this category is based in the writing styles used in manuscripts back in the way olden days, from the 1100s up into the 17th century (and was used in German up into the 20th century). The letters are full of beautiful details, but can also be difficult to read. Monospace: There are a ton of monospace fonts out there, but usually the first thing people think of when they see it is: typewriter. All of the characters in a monospace font take up exactly the same amount of horizontal space – you could stack them vertically and their sides would all line up perfectly. This typewriter style above is a monospace serif font, but you can find monospace fonts in almost every other style or category on this list (yes, including script). Display: Another category that encompasses tons of other styles, display fonts are ones that aren’t meant to be used for tons of text – they’re built for big, showy words. Looking at the example above, you wouldn’t want to read an entire book set in that font, but it’d make for awesome “Chapter 1” headers, as well as a cool cover. Dingbats / Ornaments: Some fonts are made up entirely of dingbats and ornaments (like the classic Wingdings, which has come with every PC I’ve owned for the last 20 years), while other fonts contain a selection of dingbats or ornaments as extra bonus glyphs in addition to the letters, numbers, and other standard characters. A sub-category of ornaments is Catchwords, where common short words like and and the are created small as separate characters. Another sub-category is Flourish—flourishes are usually not letters themselves, but are swirled, curved, or curled lines that either connect with letters or can be placed above or below your words. Note: most of these styles fit into at least one category above; some fit into more than one. I’ll try to make notes of those for the examples. Bold: Another way of emphasizing type, bold versions are also found in a lot of serif and sans-serif fonts. The lines are thicker all around. There are also less bold styles (SemiBold), super duper bold styles (Black), and some fonts will give bold their own name that implies more weight (Fat, Heavy). In contrast, some fonts will also have much thinner versions with skinnier strokes (Light, Thin, Hairline). Handwriting: Sometimes also referred to as Hand-Lettered, a handwriting font is (frequently) a script or calligraphy font meant to mimic handwriting (as opposed to script fonts with precise, uniform line widths). This is a hugely popular style these days, and can cover a ton of categories besides script – anything from serif to blackletter can be done in a hand-made style. Retro & Vintage: This is another area where we could fall down a rabbit hole, because there are soooo darned many different styles here. I’ve given a ’50s serif, as well as a woodcut-looking sans-serif, as examples – these are two vintage styles that are really hot right now. If you’re searching for a certain look, you can be really specific with your search terms. You can break it down by decade (’70s or ’80s, for example) or by mood (groovy, hipster, disco). You can even search for art and architecture styles (art deco, Bauhaus) to narrow down your choices. Tuscan & Western: Sometimes also called Cowboy or Circus fonts, these are styles that feature either fishtail-like serifs, triangular bump-outs along the sides, or both. These fonts run the range from plain and simple to incredibly intricate, with cutouts and decorative flourishes inside every character. Monoline: Sometimes also called Monoweight, the lines in these fonts are the same weight throughout. They don’t have the contrast between thicker and thinner lines in each letter. You’ll find some script fonts in monoline, like this one above. Monospace (typewriter) fonts also lend themselves to a monoline weight, although there are many monospace fonts that aren’t monoline. You can also find a ton of monoline sans-serif typefaces out there. 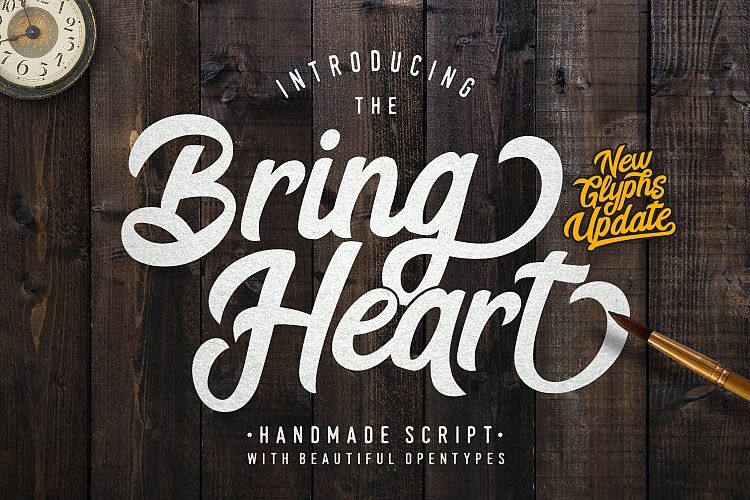 Stencil: These fonts are great for crafters, especially paper cutters and vinyl cutters. A stencil font doesn’t have any closed-in areas, like in the letters O, D, B, etc.—they all have openings so that the white space surrounding the letters and inside the letters is all connected. The majority of stencil fonts are sans-serif, but there’s a growing number of more options as creators keep their crafting friends in mind. Unicase: Squeezing more than one into an image here! Unicase means that all of the letters (both uppercase and lowercase) are at the same height. In a lot of unicase fonts, they’re also all mixed in together – the uppercase E may look like a tall version of a lowercase e. These are usually fairly fun and quirky display fonts. 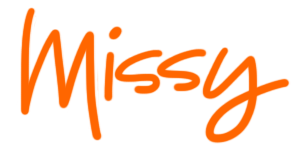 Comic: Most comic fonts also fall under the Handwriting style. They’re made to look fun, like the writing in a comic book or the handwriting of a child. Comic fonts can fall under several categories, but most I’ve seen are usually sans-serif. A lot of them will come in uppercase only (though some of those will put a second, slightly different set of uppercase characters in the lowercase letter spots). Grunge: Another style that can fall under any category, these are the fonts that come pre-distressed with streaks, spots, blotches, and other errata built in. They aren’t the best option if you’re cutting a design out of vinyl, but they can look fantastic in print. Many fonts with a grunge/distressed version will also come with a clean, crisp version. Pixel: This can apply to any font that has an ’80s computerish vibe. They may be made up of individual squares or dots, like the example here, or they may be solid shapes with hard, pixelated edges. They're great for a video game vibe, or a throwback ’80s feel. Geometric: Another hot style right now, these characters appear to be made up of geometric shapes: circles, squares, triangles, and straight lines. Some might call them “hipster” fonts, since they seem popular with the young people (oof, I feel like an old lady writing that). I’ve seen this style used on many indie pop album covers, but also on a lot of really cool t-shirt designs. I’ll let you catch your breath now. Next week we’ll dig into more vocabulary, including the parts of a letter, and what OpenType features mean (and the cool things they do). I’m hoping with these terms under your belt, you’ll have a much easier time finding the exact font you’re picturing for your project. And remember, you can mix and match these terms to really narrow down your results: try looking for a narrow handwritten grunge font, or a wide bold sans-serif font and you’ll find one.